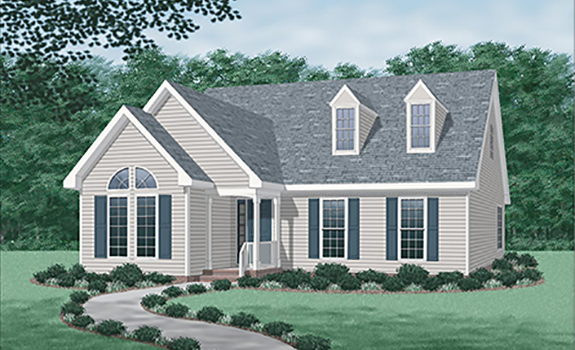 A lovely transitional design well suited to a narrow lot, the Beth's style hearkens back to olden times yet displays a subtle contemporary flair. Beyond the pleasing facade and sheltered entry, amenities that quietly enhance time spent at home are found throughout: The spacious living room admits lots of natural light and has a prefab corner fireplace. A walk-in closet and well appointed private bathroom are provided for the master bedroom The efficient kitchen features a pass-through counter for easy service to the dining room. A deck in the back extends the living area outdoors. 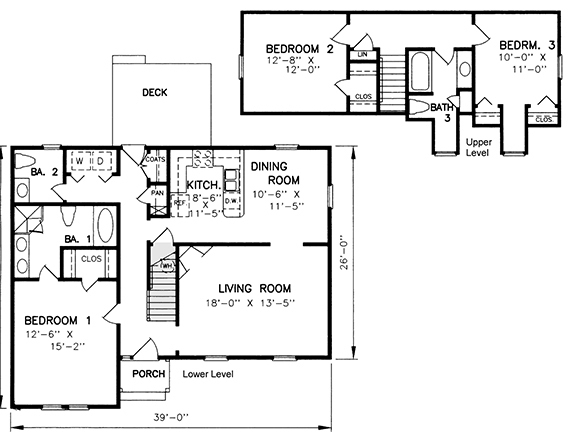 Close to the kitchen are a handy pantry, a washer/dryer closet, and a half bath for the downstairs areas. Upstairs, a wide hallway connects two bedrooms and a second full bath.